Retail MassPOS Billing Software for Apparel & Lifestyle and Fashionis the ultimate one stop solution for retail stores like that of the lifestyle and accessories store. This software has been developed in such a way that it can take care of every need and requirement of your business without a miss. It takes care of billing, sales in totality, inventory and accounting. So, automate your business and sit back and relax, while you see it grow. 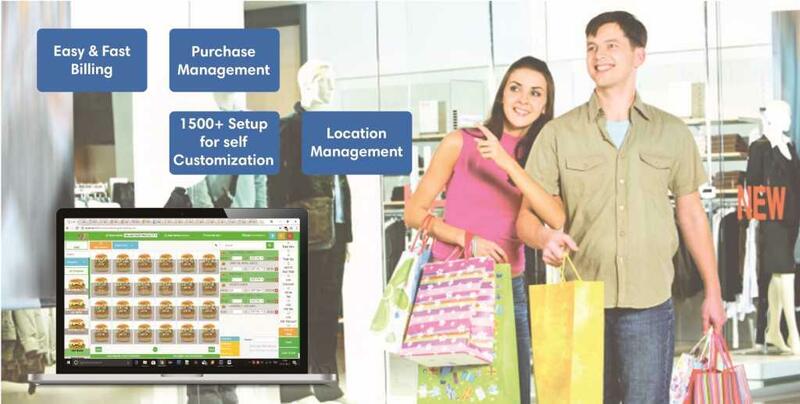 Retail Mass has been equipped with different types of intelligent features that is going to make billing easy. But how? You are not required to do anything to manage the billing. You need not worry about the payables and receivables. This app keeps track of every detail with respect to your business. You simply need to check the records in order to take the right decision. This provides you with that time to serve people better than before. Once you start using the app, you will see that que management too becomes easier, since billing gets done in a matter of few seconds. And lesser the que, more satisfied will your customers be, which converts customers to loyal customers, which is necessary for any successful business.